The Rwanda coffee sector continues to make positive strides as quality improvement programmes are implemented. The Rwanda coffee sector managed to achieve a 1:1 ratio between the fully washed and semi-washed (ordinary coffee) during the 2015 season. The ultimate goal is for Rwanda to produce high-quality coffee bearing in mind that the country is limited by the size and the area under coffee. Our coffee supplier (Hans Balyamujura) visited the Nkora coffee station in Rwanda during May 2016 to get a better understanding of the 2016 crop. The harvest was almost complete and as required by law the fully washed crop is almost all in. 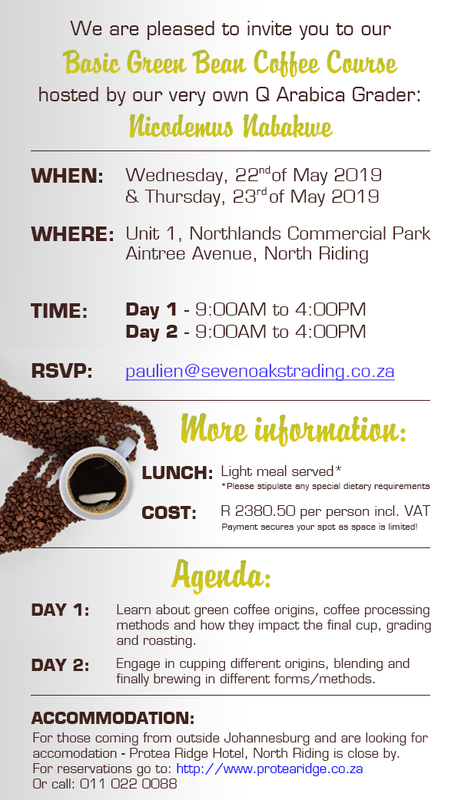 It is only after all the available cherries have been harvested and delivered to the washing stations that the purchase of the semi-washed (ordinary) coffee from the farmers begins. The start of the season was slow therefore overall, the Nkora crop for 2016 will be lower than the crop attained in 2015. 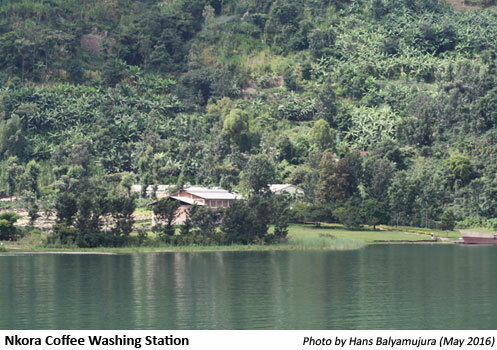 Nkora coffee washing station is located in Rutsiro district in the western province of Rwanda in the Kivu region, at an altitude of 1,490 metres above sea level. 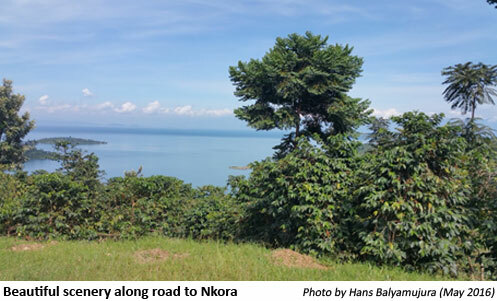 It is about two hours’ drive from Gisenyi in the hills and valleys along Lake Kivu. 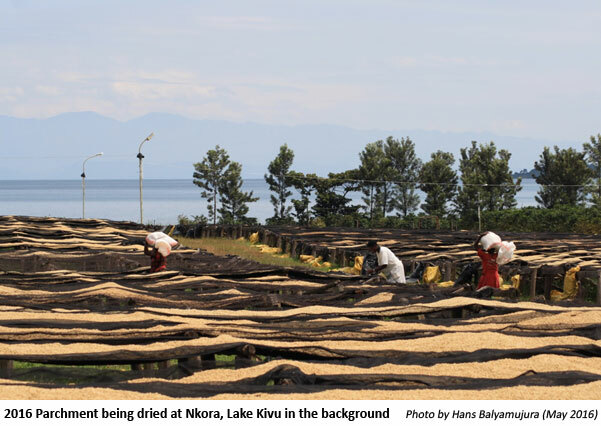 Nkora is the oldest and biggest coffee washing station in Rwanda which was constructed in 1959 and has the capacity to handle 500 tons of parchment coffee. It is a beautiful area marked with a number of agricultural activities such as bananas, guavas, pawpaw, etc. The coffee is grown at an altitude of between 1,400 and 1,900 metres above sea level. 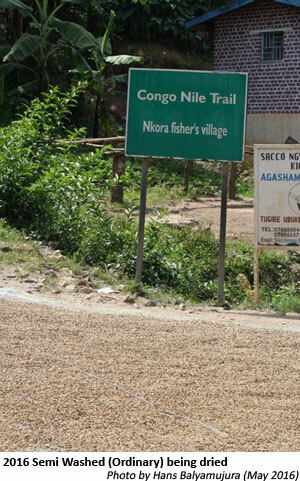 Nkora continues to maintain a track record of producing coffees of high quality. 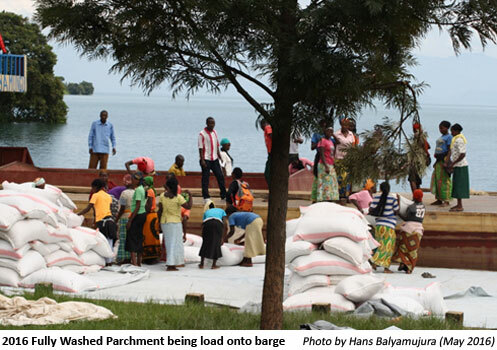 During the visit, we observed the first batch of the fully washed parchment being loaded onto the barge and transported to Gisenyi over Lake Kivu. It is then transferred onto trucks for further transportation to Kigali, where the coffee milling is undertaken. We hope to have an indication of the quality by the end of June but initial indications are that the quality will be exceptional. The semi-washed (ordinary) crop is still under the care of the farmers who are eagerly awaiting the end of the cherry purchases so that the purchases of semi-washed coffee can begin. We should have a better indication of the semi-washed crop around September. 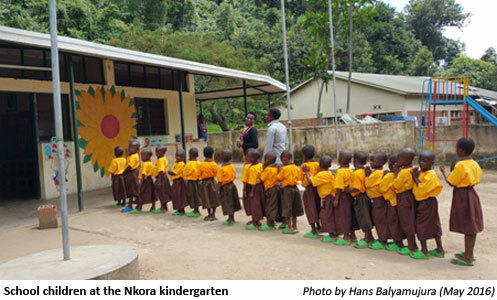 The Nkora washing station supports a community kindergarten school which serves the farmers’ children in partnership with Tools for Schools (Non-Governmental Organisation). The kindergarten operates 2 sessions per day with one set of children attending in the morning and the other attending in the afternoon. The following day the children swap sessions and the children that attended the morning session attend in the afternoon and the others attend in the morning. The children are served porridge during the morning session and milk in the afternoon session.